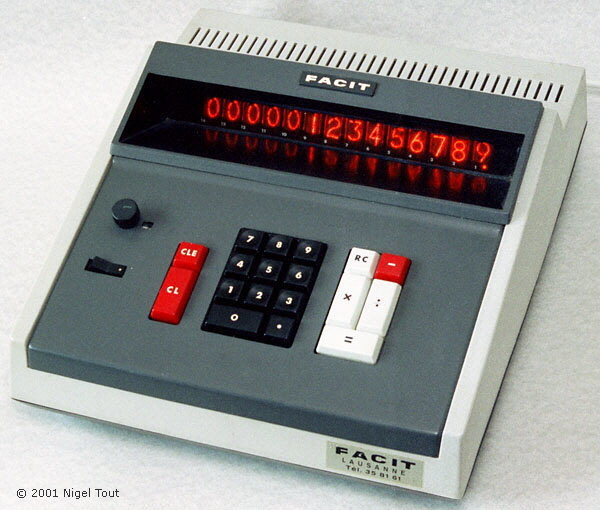 Facit started producing pinwheel mechanical calculators in 1918. They produced very advanced machines culminating in the keyboard setting models such as the Facit CI-13 & ESA-01. 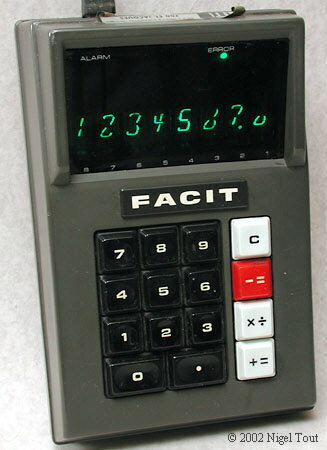 In the late 1960s electronic desktop calculators were sold under the Facit name, such as the Facit 1123, followed in the early 1970s by hand-held calculators, such as the Facit 1111. These all appear to have been made by other companies and just marketed by Facit. In 1972 Facit was taken over by the giant Electrolux company. For further photographs of Facit hand-held calculators see the Calculator Photo Library on this site.